One of the biggest misconceptions when it comes to buying a home is that you need a 20% down payment. There a variety of loans that will allow you to borrow more than 80% of the value of a property. One of those options is the 3% First Time Home Buyers Program. For borrowers interested in buying a home with an FHA loan there are some more restrictive requirements compared to a conventional loan: applicants must have a minimum FICO score of 580 to qualify. However, having a credit score that's lower than 580 doesn't necessarily exclude you from FHA loan eligibility. There are also different grant options that a borrower may qualify for that would allow an even lower down payment, ranging from 0% (Yes, 0% down payment!) to 3%. There are different requirements depending on your credit score, income and debt to income ratio. A couple of other requirements would take into consideration your employment and taxes filing. The buyer usually needs to have 2 years in the same job or field/career and have filed taxes in the last 2 years. Every buyer and situation is different, so the best way to understand how to qualify for a loan is to speak with an experienced Mortgage Loan Officer. You may not be qualified for the specific loan that you are interested in, but a Loan Officer will not only provide you with information about different programs but will also walk you through on how to fill the requirements to become eligible. 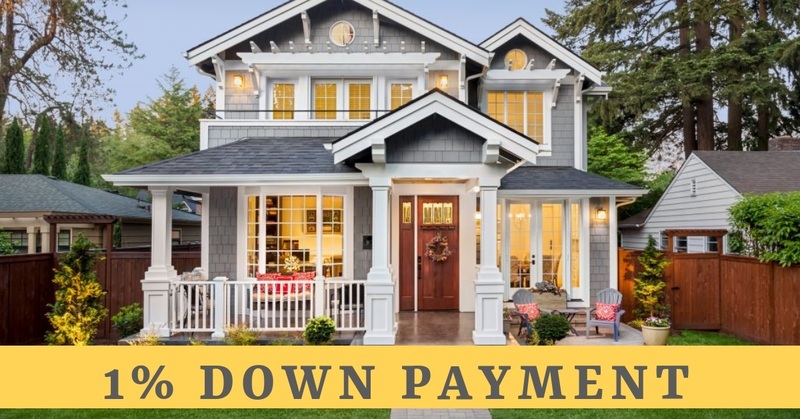 Many down payment assistance programs are currently in place in California and those who are eligible can purchase a home with almost NO money down.